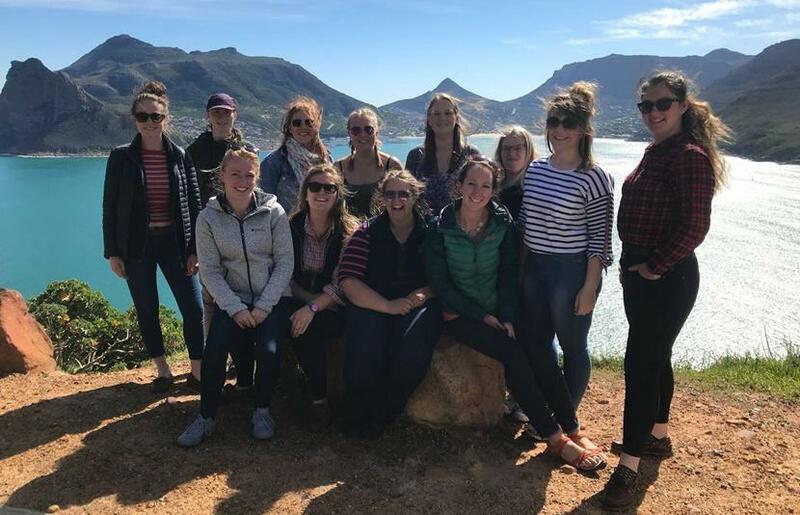 I have recently returned from my trip to South Africa representing National Federation of Young Farmers alongside 11 other Young Farmers. 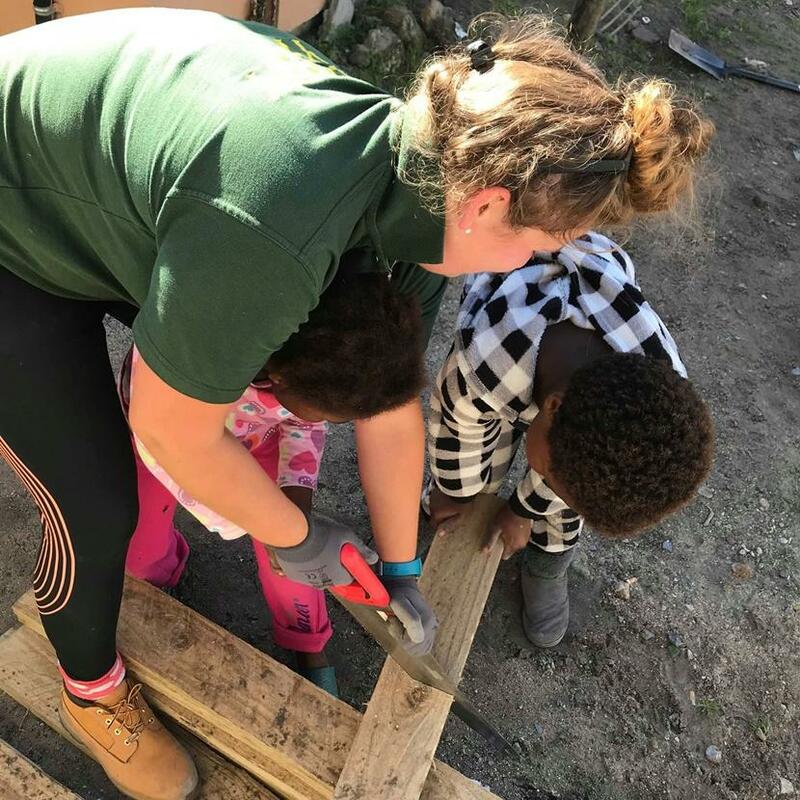 Whilst we were there we stayed with a host family; the Host Mum was called Faye and she has been hosting volunteers for 15 years, this is her way of helping the communities alongside her many fund raising and volunteering activities. Our first project was in a township called Vryground. We were introduced to Capricorn Primary School were we started our first garden. We dug and completed 2 vegetable patches for the primary school to help them to continue to grow their own vegetables. Their ground is very sandy so there were a lot of layers to be done to this garden, to include brown waste, green waste, manure, metal tins, bones and cardboard. We then planted onions, spinach, kale and turnips. The second township we worked in was called Nyanga, we helped an organisation called Etafeni. They were set up in 2001 to provide a sustainable, community based care for AIDS vulnerable children, youth and caregivers. 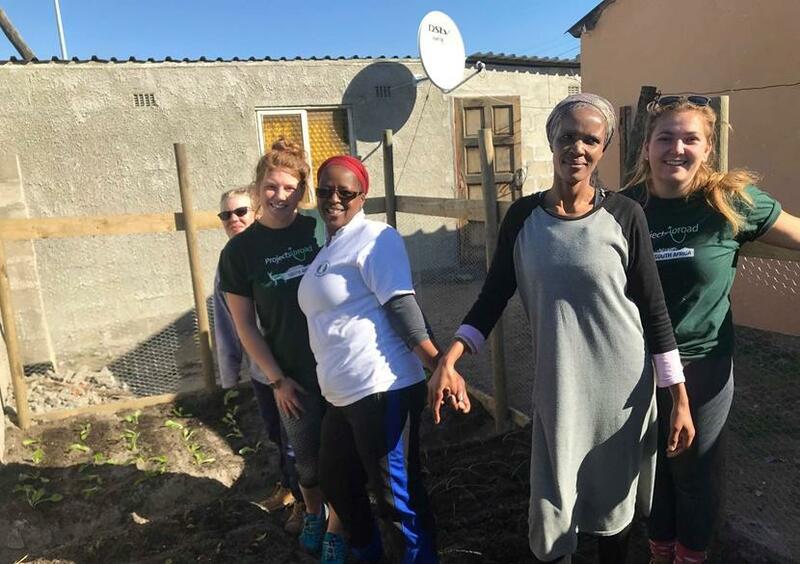 They also work with the community to teach maintainable gardening so they are able to grow their own vegetable patches and ensure they have food to eat. The children in the township all wanted to help us with the gardens; a lot of them didn’t go to school and didn’t have any shoes to wear. We took some skipping ropes and bubbles with us for the children and it was like Christmas, they were all great at skipping. We dug a total of 6 vegetable patches in our 2 days in Nyanga, which helped towards their aim for 200 gardens a year. Whilst we were in South Africa they were celebrating Women’s Day, this is a bank holiday for them and is taken very seriously. We helped to set up a lunch event for 400 women from the Vryground community; they were given magazines, some toiletries and snacks. They had lots of different inspirational speakers from women who had been caught up in crime, gangs and domestic abuse and had manged to change their lives. There were several dances from a group called Generation For Change. The group is for all ages and aims to help people have fun and enjoy themselves doing what they love. We also went to Lentegeur Market Garden in Mitchell’s Plain. This is a market garden based in a psychiatric hospital; their aim is to help patients by gardening. 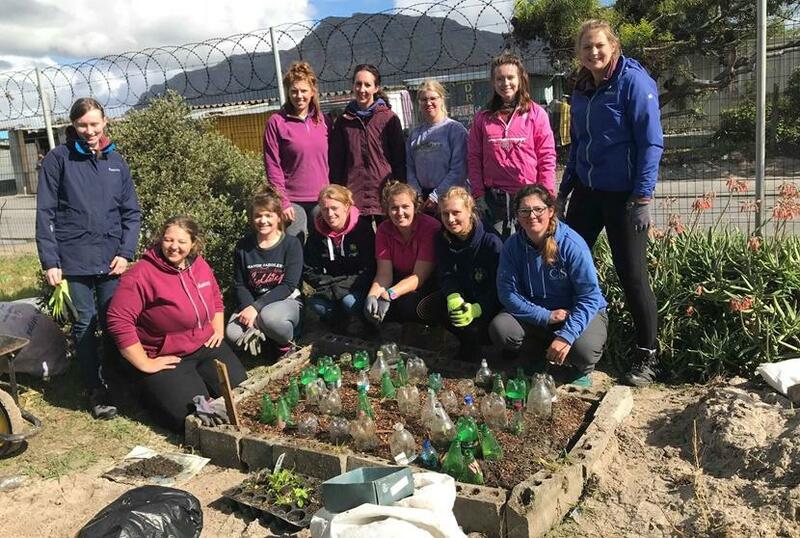 Gardening gets them up, out and being active whilst learning new skills that they will then be able to use when they have been released from the hospital. 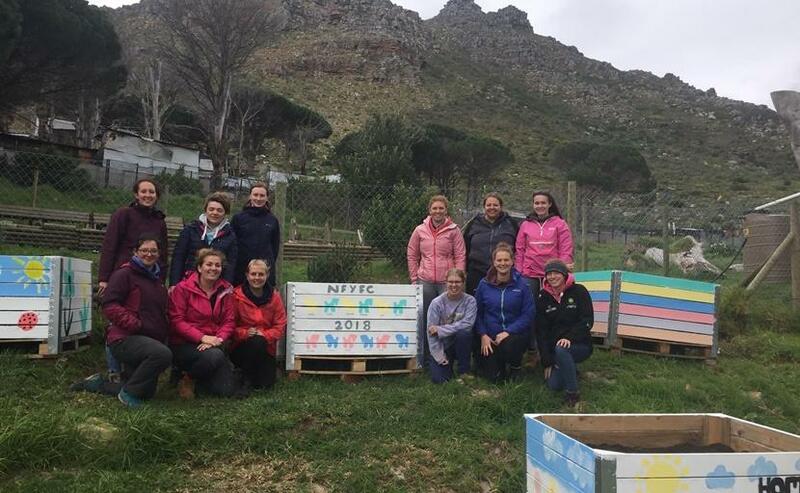 We helped here by planting fruit trees; the aim is to have an orchard around the perimeter of the hospital so they can then sell fruit as well as vegetables. We had to dig holes and plant around 50 trees. We then helped with sowing of vegetable seeds, weeding of the gardens and also picking and packing of vegetables for sale. Whilst we were there we had a talk from the Director of this institution, Dr John Parker. We also visited Imizamo Yethu, this is a township near Hout Bay, last year there was a forest fire that wiped out a lot of homes, reconstruction of the homes is just beginning, there have been a lot of temporary homes that were built. Lots of people try to make a business in their home such as salons, fish and chip shops or just corner shops. Customers have to try their clothes on the side of the road and a lot of people have set up a small stall on the side of the road selling things they have made or home grown produce to make some money. We then visited an Ikhaya le Themba, this was set up in 2004 to help the vulnerable children. It is somewhere they can go to feel safe, get help with school work and also have a hot meal. We had a community day here where we built 2 vegetable patches and planted 6 potato boxes. Once planted, we painted the plant boxes, cooked hot dogs for the children and played games with them. We had taken some donated sports bibs and footballs with us so we played a quick game! 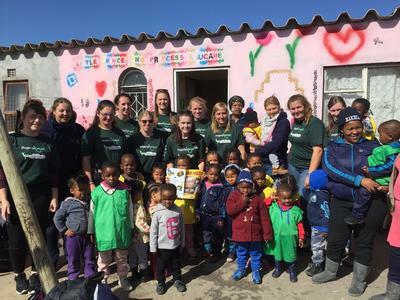 Our final community activity we visited, Prince and Princess Educare, a nursery that had been set up in a local’s living room in the township. The children had one room to play in and then there was a kitchen that we cooked lunch in. The cooker was a gas bottle with the sauce pan on the top, we had to cut up vegetables on the sauce pan lids whilst there were children sleeping next to us! I took some more bubbles that day and spent about an hour blowing them, the children loved running around catching them and all wanted to have a go themselves. It was upsetting to see the conditions that they believe is acceptable, but for the township this Educare centre is brilliant and gives parents the opportunity to work to get some money to provide for their family. 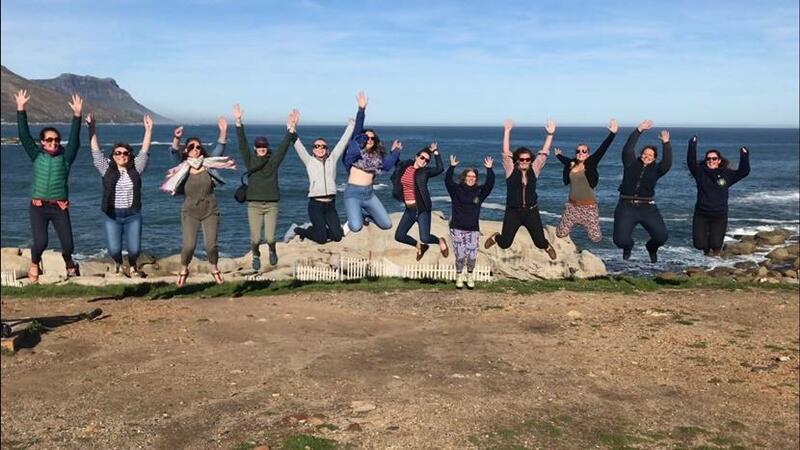 In the evenings and on the weekend we did different activities such as drumming, surfing lessons, horse riding on the beach and a safari drive. The host family were very accommodating, helping us all to feel welcome and comfortable whilst there. 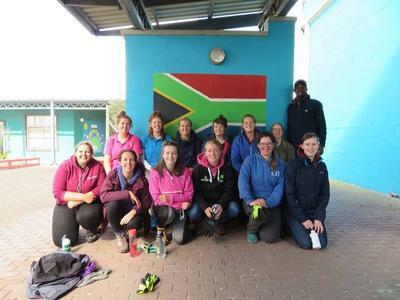 South Africa is an incredible, beautiful country that taught me a lot within a short space of time; I would definitely recommend visiting and for anyone that gets an opportunity to volunteer definitely take it up! If you would like more information on our Projects in South Africa please click here.